SIGNIFICANT OPPORTUNITIES EXIST FOR SUPPLIERS OF MATERIALS AND SERVICES IN BOTH THE OEM AND AFTERMARKET AS CHINESE RAIL EXPANDS ITS URBAN RAIL INFRASTRUCTURE AND CONSOLIDATES HIGH SPEED RAIL. 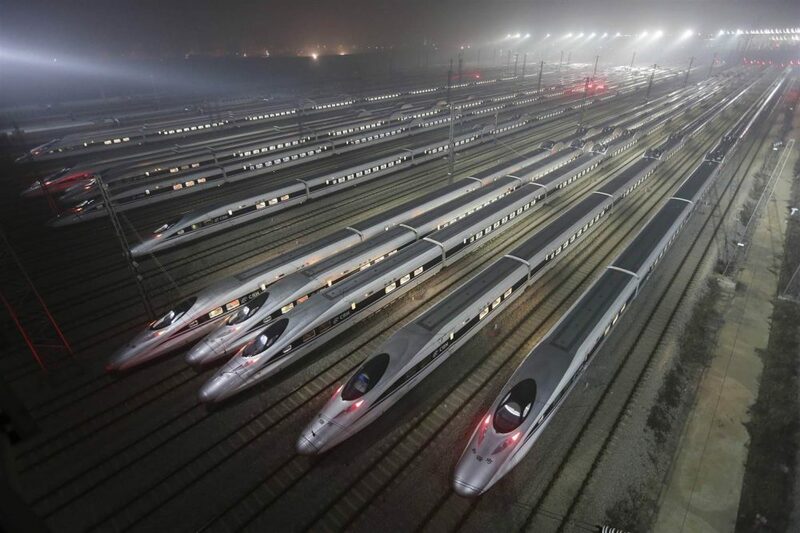 China has developed a world class high speed rail industry dominated by Chinese OEMs although specific high tech components are still imported. Plans to develop a high growth export market have stalled as global spend on high speed rail has not taken off as predicted. Urban rail in China is a booming industry as Chinese cities continue to modernize and develop infrastructure for mass transit and to reduce road congestion and pollution. High speed rail vehicle growth is expected to slow from the 24% per annum seen in the past 5 years to a flat to negative growth rate for the next 5 years, however the high speed rail aftermarket is expected to grow significantly. Urban rail however, is expected to see a continuation of growth of around 15% per year for the next five years. Metro rail includes light rail that will continue to grow as an important segment within the urban rail expansion. Investment in new infrastructure and maintenance of existing infrastructure requires products and services of varying technical nature. Products such as steel, aluminum, copper, glass, sophisticated alloys, specialty chemicals and polymers are required. In addition, automation and control equipment and services are required. The aftermarket is generally seen as a relatively higher profit margin sector and in which opportunities exist for a broad range of products and services. The value chain is relatively complex and requires careful analysis to find accessible opportunities. In high speed rail, the key OEM rolling stock players are Changchun, Tangshan, Sifang and BST. In the urban sector the key OEMs also include Nanjing Puzhen, Zhuzhou, Dalian Locomotive, Beijing Subway and such MNCs as Alstom and Siemens. In March 2013, the Chinese government split the Railway Ministry into the National Railway Administration to oversee railway regulation and the China Railway Corporation (CRC), a state-owned company, to operate the national railways. SAI’S CHINA TEAM OF CONSULTANTS ARE ACTIVELY INVOLVED IN NUMEROUS PROJECTS IN THE RAIL SECTOR TO IDENTIFY OPPORTUNITIES AND TO DEVELOP ACTIONABLE STRATEGIES FOR CLIENTS WISHING TO DEVELOP AND EXPAND THEIR BUSINESSES IN THE CHINESE RAIL SECTOR.